These Retail Shelves Feature an Upscale Look that is Great for Merchandising! The Displays are Equipped with a Dual-Sided Poster Frame as Well! 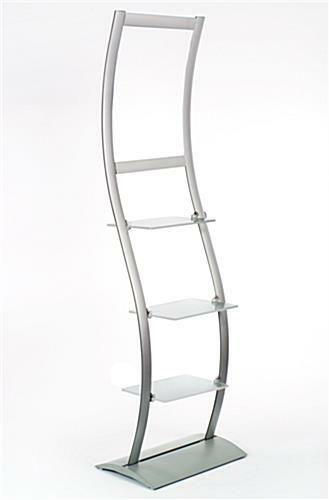 Buy Retail Shelves from the Leading Online Supplier! These retail shelves are practical for many types of businesses. Each of the stands features a graphic frame that helps draw in customers. The retail shelves are sized to fit (2) 18"w x 24"h back to back. In fact, the units come with (2) clear lenses to protect the inserts. The retail shelves can be viewed from either side just like the poster framing for double the impact. 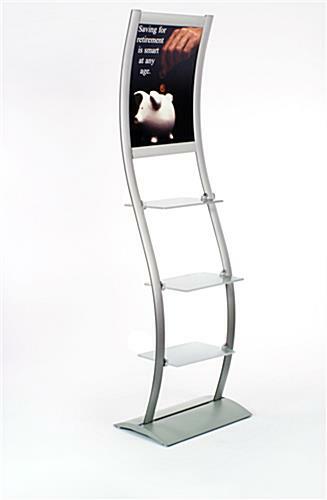 Each of the levels is height adjustable and can be moved to the desired position based on merchandise or taste. The retail shelves are made from sturdy materials, including anodized aluminum and frosted acrylic. 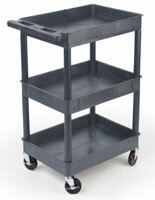 Both substrates ensure the units will last in bustling sales environments. 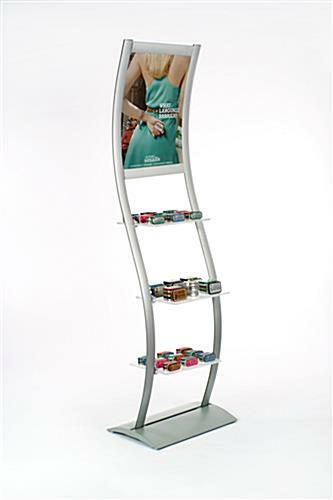 These retail shelves are extremely versatile and allow for all kinds of unique presentations to be created. The advertising systems have a specialized open design that keeps goods accessible. The retail shelves provide an effective solution for merchandising in today's fast-moving economy. Buy a set online and save! Please Note: Graphic does not come with the display. When designing the posters, keep in mind the size is 18"w x 24"h, but approximately 1/2" is concealed along each edge. Graphics should be printed on typical poster paper to ensure they will fit in the grooves. Any printing service facility should be able to accommodate without issue.